Fourteen years ago I walked to a pine woods not far from our backyard. New construction was taking place. I wanted to get some images of the pine trees before they were cut down. Lots of other trees were removed as new streets and lots were installed. I am glad to say these pines are still there. 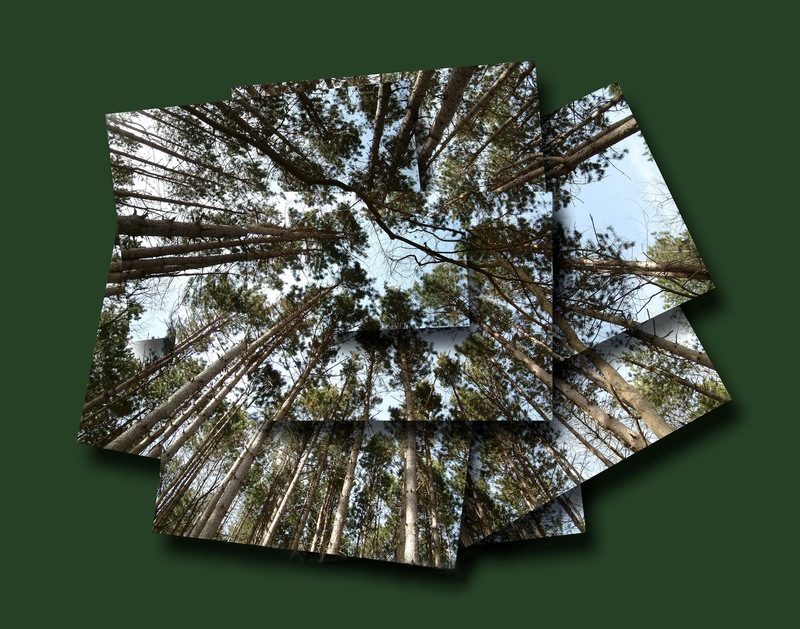 For the images of the tall pines, I wanted a different perspective. I chose a spot with a good view upward. Lying on my back, I shot about 10 pictures up into the trees. The images were overlaid so the trunks and branches were in good alignment. The end result was very close to how I saw it. We enjoyed watching this story unfold. Bug 1: OK. Now what are we supposed to do? 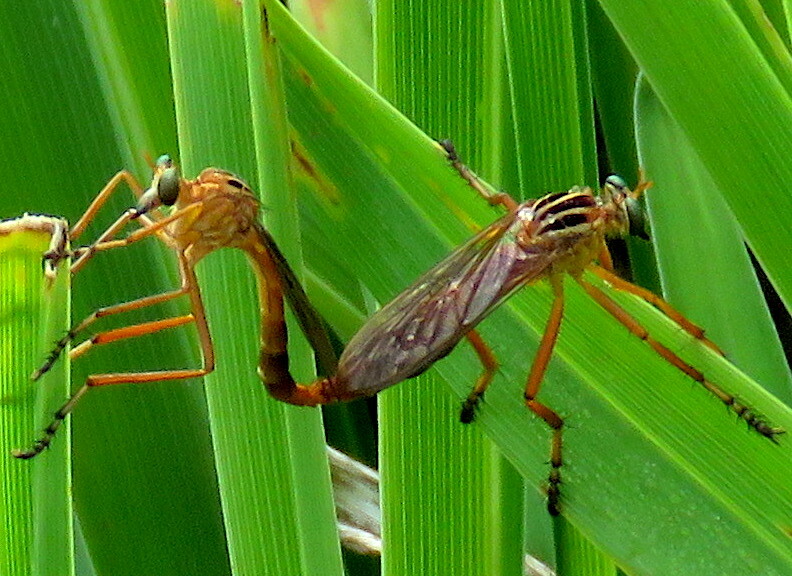 Bug 2: I don’t know! Bug 1: You told me this was going to be fun. I’m not feeling it. Bug 2: I thought it would be. Everyone else is doing it. Let’s see if we can fly. Bug 1: Nope. I’m staying right here. 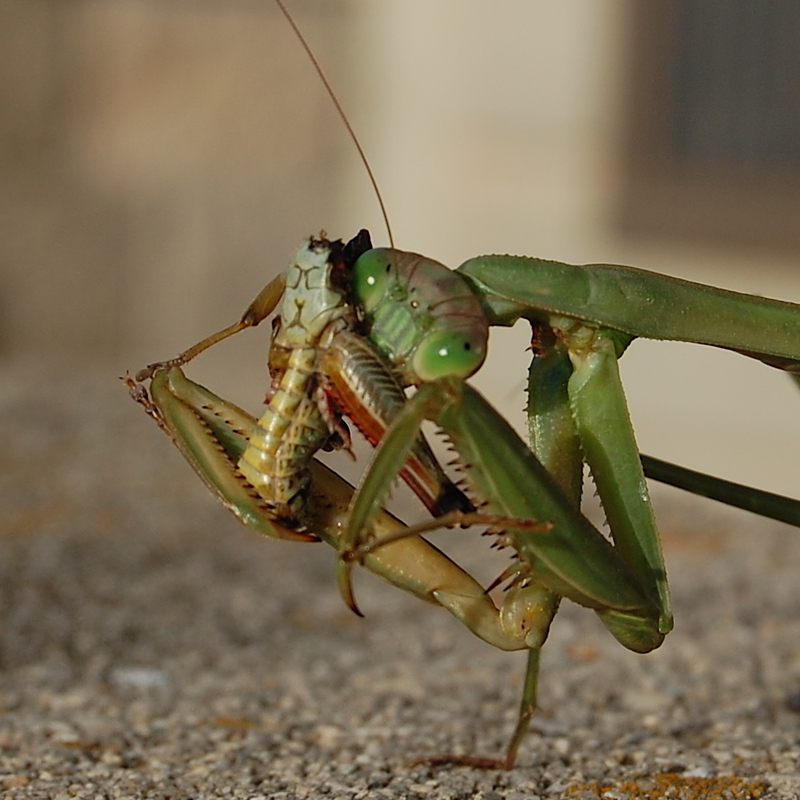 💢 Warning for the squeamish: This post is about insects eating each other. I was happy to see results in my milkweed patch. 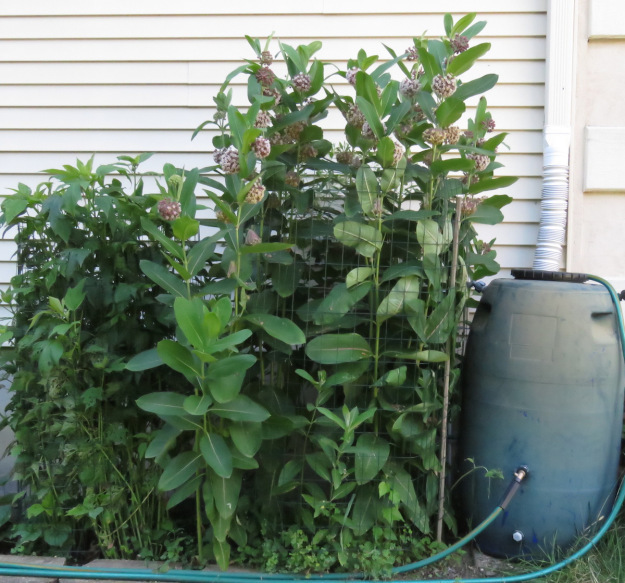 In the summer of 2015 I transplanted some local varieties of milkweed to a small patch in my garden next to the rain barrel. They were shocked by being dug up. I watered and they survived. In the summer of 2016 they all came up looking healthy. I was hopeful for visits by Monarch butterflies. I never saw evidence of any. 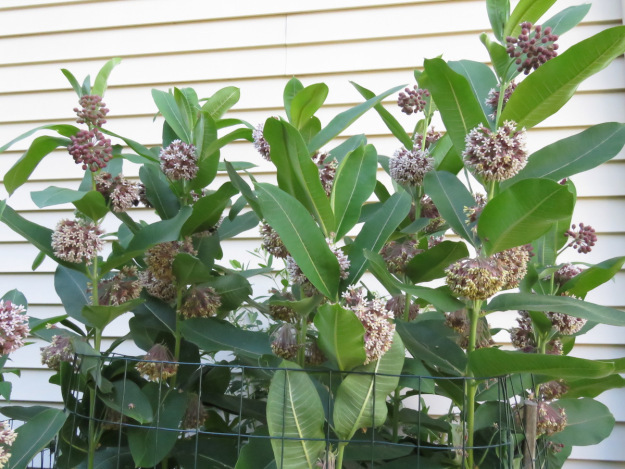 If you aren’t familiar with milkweed, this link will help. When damaged, they bleed a white sap. This year in 2017 the plants are nearly 6 ft tall and strong. I put a 4 ft tall piece of fencing around them so they wouldn’t blow over. This picture shows them in the center in full bloom. The second picture shows their flowered tops. 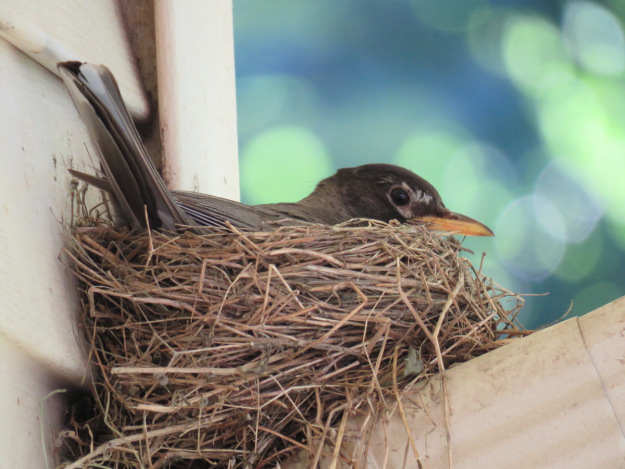 I cleaned out the House Wren birdhouse last week to prepare for their arrival this week. This morning a single male could be heard in the bushes out back singing away. 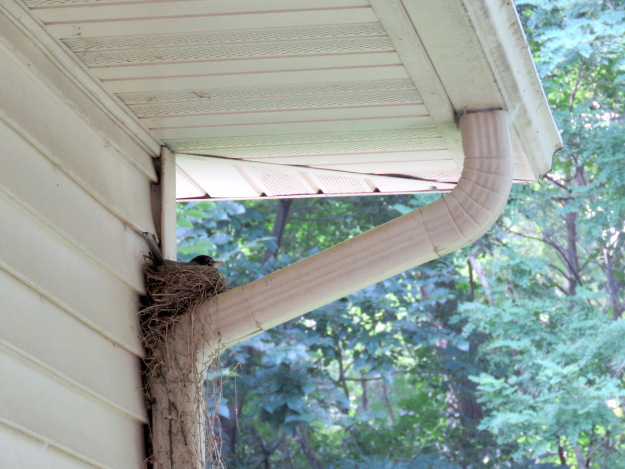 He soon got busy adding new twigs to the house in preparation for arrival of the females. He must do a good job in order to attract a female. Most of the twigs were small and fit easily into the small hole. But, now and then he brought one up that was awkward like this one. He tried several different approaches, first one end then the other. This stick got the best of him. He seemed quite frustrated with it. Persistence paid off in the end. Fellow bloggers Steve and Steve often include beautiful close-up photos of leaves in their posts. They inspired me to try imaging leaves in a different way. I decided to use a flatbed scanner. During a recent walk, I picked up three examples that were colorful and still in good shape. I got a pin oak, maple, and ornamental pear and headed home. 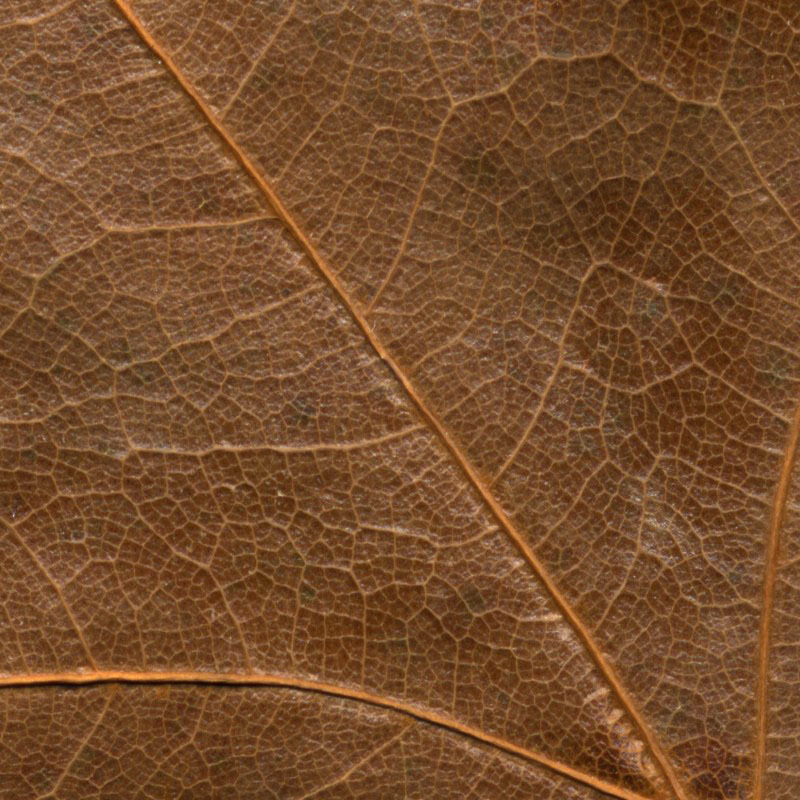 First up on the scanner was the oak leaf. I placed it face down on the glass and set the resolution to a high value of 800 dpi. I wanted to get lots of detail in the scanned image.